Does caffeine dehydrate you? Learning Tips to avoid it. 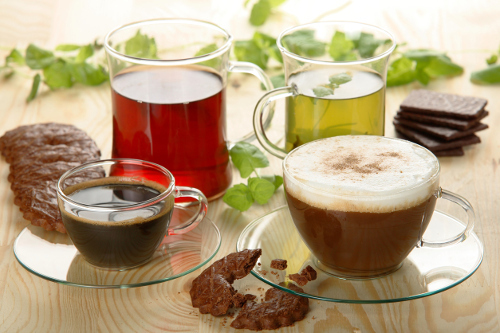 Home » Food and Nutrition » Does Caffeine Cause Dehydration? Dehydration can be a problem. It can cause headaches and all manners of problems and issues that can make your life uncomfortable. But, all you have to do is keep your liquid intake up, right? Just as long as you’re drinking fluids, you should be okay regardless of what the fluids are, right? Or are there some fluids that make the problem worse, like drinks filled with caffeine? Can caffeine cause dehydration? In this article, we’ll take a look at whether caffeine causes dehydration, the connections between caffeine and dehydration, and if caffeine dehydration is an actual thing. We’ll also look at tips you can use to avoid dehydration. Does caffeine dehydrate you? Does coffee dehydrate you? Does tea dehydrate you? These are questions that have been asked over the years countless times, and for the most part, the answer has been a simple one. Yes, caffeine can dehydrate you. But due to a few new studies, that yes has now become a maybe, or a yes, but for not the reasons you think it does. For years, caffeine was regarded as a diuretic, something that helps your body get rid of mineral waste through creating urine. So, you drink too much of a diuretic, in this case, something like coffee, you pee too much and become dehydrated. But, recently, Lawrence Armstrong, a Professor and Director of the Human Performance Laboratory in the Department of Kinesiology at the University of Connecticut, has challenged this idea. During a study, Armstrong and his team concluded that caffeine doesn’t seem to be a significant factor in the creation of urine, as the test subjects in their study didn’t seem to be losing water any more than someone not taking caffeine. However, caffeine may increase the chances of dehydration in a completely different way. Caffeine could help speed up the metabolism in a person. In theory, this sped up metabolism may consume fat and create muscle. This fat-burning and muscle creation may heat up the body, which would require the body to absorb more water than usual, causing dehydration. Luckily, if you are a frequent user of caffeine, there are some methods that you can employ to prevent and combat dehydration. Dehydration can be a pain. If it happens to you, you can suffer from headaches; it can make you tired and nauseous. In general, it’s not something you really want to deal with if you don’t have to. Luckily, there are several ways to prevent and take care of dehydration, none of which require much work. This tip is pretty self-explanatory, but if you drink water throughout the day, it’ll keep you hydrated. In terms of how much, that differs from person to person, depending on their weight and metabolism. Somewhere between 16 and 20 ounces should do it. If you drink this much water, you also have the added benefit of feeling fuller. So, if you are on a diet or watching your weight, this can be a great way to cut down on snacking. Other fluids can also keep you hydrated. Natural fruit juices aren’t a bad example of an alternative, especially if you combine it with drinking water. Sports drinks can also help keep you hydrated, especially after physical activities. However, do avoid drinks with caffeine in them for the reasons we spoke of earlier. Alcohol is also a fluid that can dehydrate you, so a beer on a hot day might feel good, but don’t trust it to hydrate you. Don’t overdress for working out or while playing sports. Do not overdress for the weather either. The more you sweat due to extra layers that were not needed, the more risk you run of becoming dehydrated. After a workout or activity that involves sweating, having a bath or shower isn’t a bad idea. It can help rehydrate you a little bit by absorbing the water in through the skin. While this isn’t as efficient as drinking it, it can help in addition to drinking water, especially if you’ve lost a lot of it due to sweat. All of the above ideas should be able to help keep your body well and hydrated, as well as not having to worry about any of the pesky issues that come with dehydration. Let’s face it, you don’t want to deal with dehydration. It can cause nausea, headaches, dizziness, and all manners of discomfort. It can also lead to bigger problems like heat stroke. Hydration is simple to do; you just need to keep an eye on how much water you are losing through sweat and urine. Besides, drinking water also has the benefit of making you feel fuller than you are, and can help keep your weight in check. Drink more water, avoid caffeine, and things should be pretty good on the hydration front. Goldbaum, K., “Does Caffeine Really Dehydrate You?” Live Science, July 21, 2016: http://www.livescience.com/55479-does-caffeine-cause-dehydration.html. Danish, E., “Caffeine and Dehydration,” Health Guidance For Better Health; http://www.healthguidance.org/entry/15718/1/Caffeine-and-Dehydration.html. Hammond, C., “Do Coffee and Tea Really Dehydrate Us?” BBC, April 2, 2014; http://www.bbc.com/future/story/20140402-are-coffee-and-tea-dehydrating. “How to Avoid Dehydration,” WikiHow, http://www.wikihow.com/Avoid-Dehydration.